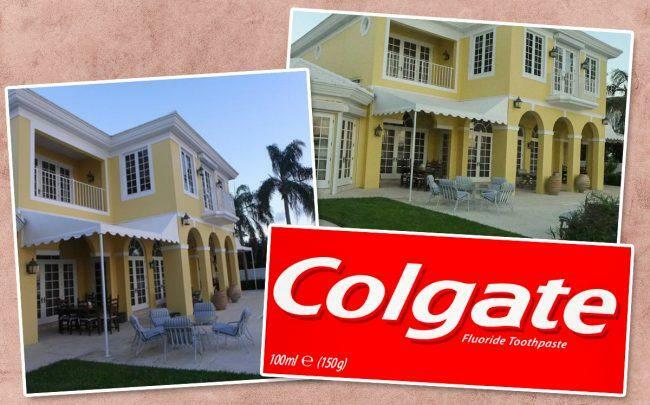 The widow of an heir to the Colgate-Palmolive fortune sold her Palm Beach estate for $12.68 million. Janne H. Rumbough sold the 6,344-square-foot-home at 655 Island Drive for $1,998 per square foot, records show. An entity tied to Jeffrey Weiner, CEO of the accounting firm Marcum, bought the home. Weiner also produced the fifth installment of the Jason Bourne series and was the executive producer for The Bourne Supremacy and The Bourne Ultimatum, starring Matt Damon, according to Marcum’s website. Rumbough’s late husband Stanley Rumbough Jr. is a descendant of the family that founded Colgate-Palmolive, the international consumer products company whose brands include Colgate, Palmolive, Hill’s, Irish Spring and Murphy’s Oil Soap and Ajax. Stanley Rumbough Jr. died in 2017 at 97. The Everglades Island home was built in 1989. The couple bought the estate in 1995 for $3.7 million, records show. The home has five bedrooms and seven-and-a-half bathrooms. It was listed by Chris Condon and Suzanne Ainslie of Sotheby’s International Realty for $13.5 million in December. The town of Palm Beach has some of the wealthiest homes in South Florida, especially in the wealthy enclave of Everglades Island. In February, Malasky Homes sold a 5,769-square-foot spec home at 608 Island Drive on Everglades Island for about $2,695 per square foot. Last year, the founders of Buy Buy Baby paid $21 million for a 7,670-square-foot new house at 488 Island Drive on Everglades Island in Palm Beach.